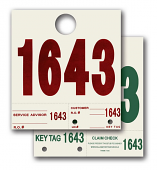 Auto service departments use service dispatch tags to stay organized. 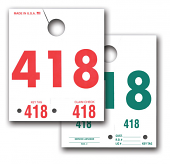 Estampe has a large selection of both custom and stock Automotive Service ID Tags and service dispatch numbers. 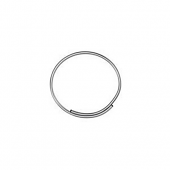 These Extra Long Service Hang Tags are a larger tag with a longer design that allows for greater visibility while hanging from the mirror. These dispatch numbers print Red on front and green on back.